The first full chapters of the long-awaited Traffic Signs Manual (TSM) have been published. Chapters 1 and 4 have been published by the TSO shop with PDF versions to follow shortly, and Department for Transport officials have suggested chapters 3,5 and 7 will be coming soon as well. 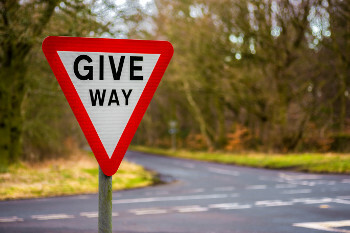 The TSM is the main source of guidance to accompany the Traffic Signs Regulations and General Directions (TSRGD) - the bible of British signage - which was updated in 2016. The final draft of Chapter 6 is underway and publication is roughly scheduled for early 2019 and the draft for Chapter 7 is almost finished with a possible publication in Spring 2019. Chapter 6 is a completely section for those designing traffic signal junctions and crossings on roads with a speed limit of 40mph and under particularly in urban areas. The guidance will focus on all types of pedestrian crossings and take more account of the sense of a place over a sense of movement, as well as reduce the dominance of vehicle traffic. There will be an emphasis on lnes, ease of movement and accessibility.